Mascara is used by both men and women to thicken, darken, and add definition to the eyelashes. This beauty product is available in three main forms – cream, liquid, and cake. Well, of all the forms, cake mascara is one of the earliest versions. Cake Mascara is still on the market but has lessened in popularity as compared to liquid forms. But this mascara is the most reliable one as it won’t dry up easily. Cake mascara comes in a pressed powder form and you can wear cake mascara alone or use it to give finishing touches to your eyelashes after wear cream or liquid mascara. As compared to liquid mascara, cake mascara is less prone to smudging and separation. Due to the fact that cake mascara comes in a solid form, you can apply several layers to your eyelashes to achieve the desired volume without clumping. It is more hygiene too as the applicator needs to be washed after every use, unlike the wand applicator that simply goes inside the mascara tube. There is no need to learn any new cosmetic technique to apply mascara. It is so easy to use that even a teenager can use it without any problem. Cake mascara doesn’t have an expiration date like tube mascara, which makes it much more economical. The longevity of cake mascara is more as compared to liquid wand mascaras. Cake mascara separates, darkens, defines and pumps up the volume on thin, sparse lashes. It is very easy to apply cake mascara on your eyelashes to get a vintage like a look. There is no need for any skills to apply cake mascara. First of you need to purchase the best mascara in cake form. When you are purchasing it make sure it comes with small mascara brush that looks somewhat like a toothbrush but a bit smaller in size. Usually the cake mascara and the brush are available in a set. For better result curl your eyes lashes prior to applying mascara. It is easier to apply cake mascara on curled eyelashes and it gives a beautiful defined eyes. Get some water to moisten the applicator brush that comes with the cake mascara. Rub the dampened brush in the cake. A little mascara will be enough to do the trick. Now open your eyes and sweep the brush gently on the lashes from base to the tip of the lash. Cake mascara is easy to work with, and you can apply as many coats as you like until the desired depth is achieved. There will be no clumping. Once you have applied the mascara on your eyelashes it is time to comb your lashes. You can use an eyelash separator or brow brush to comb lashes from the base of the eye to the tips to separate and define. Keep a cotton swab and water nearby to get rid of small mistakes without starting over. In case you are planning on buying cake mascara, you need to be specific about the color options. Cake mascara comes in various shades and each color shade has its own impact. 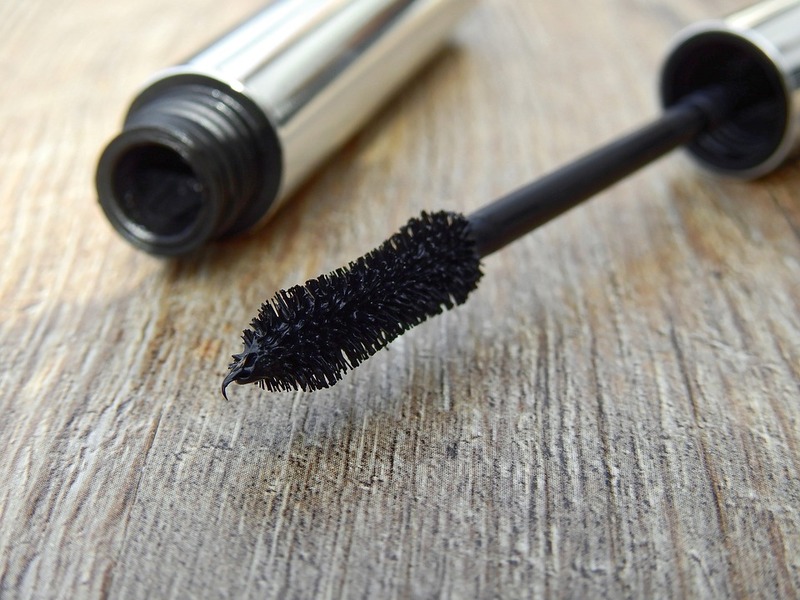 Black Cake Mascara is one that anyone wears and also during any time of the day. The color black helps in bringing a powerful impact in your eyes. Brown Cake Mascara gives a natural look to your eyelashes, use cake mascara in a brown shade. This shade is perfect to wear for any daytime event and you should avoid it for night events. Burgundy Cake Mascara is for those with green or hazel eyes. Burgundy, violet and maroon mascaras look great and make your eyes look extremely gorgeous. Another shade is the Fashion Color Cake Mascara where blue, sapphire, green and glitter varieties can be found. These shades bring sparkle to your eyes and give your eyes more accents. There are several well known cosmetic companies that offer cake mascara. Some of the popular cake mascaras in the market are Longcils Boncza Longcilclassic Cake Mascara Noir; Paula Dorf Cake Mascara, Kryolan Cake Mascara, La Femme Cake Mascara and Fran Wilson Cake Mascara. Follow the trend and wear versace sunglasses. To conclude, get ready to go back to the days of glamour-girl makeup with a Cake Mascara. Buy the best mascara today and give your eyelashes a beautiful look.